When Heidi came onto the scene and began weaving her web of lies to incite fights between the werewolves and vampires, I thought her storyline would go on for a few more episodes. It’s frustrating because it seems so easy to stop her from spreading lies, but no one had been able to catch her with proof. That is until Maia takes it into her own hands. She tried playing by the rules by searching for a witness with Simon, and letting the Institute deal with her with their judicial system, but nothing came of it. Heidi was free to continue leading the vampires on and push them into another war. When the opportunity arises to talk to Heidi alone, she isn’t full of rage: Maia is in complete control. She lets Heidi corner her, take a bite of her and get a taste for her blood. Maia was ready; she had injected holy water into her body, knowing Heidi would take it too far. The effects of the holy water are almost instant as Heidi turns into dust. For what she’s done, I think it’s fair. Simon and Alec are upset; they seem to think a proper court hearing would have brought justice. Maia was right to kill her, though– she’s avenging her lost pack and all the other lives Heidi hurt for some sick game. She didn’t take the first hit, Heidi did it all on her own. The Institute doesn’t have enough bandwidth to handle the conflict that is arising between the werewolves and vampires. 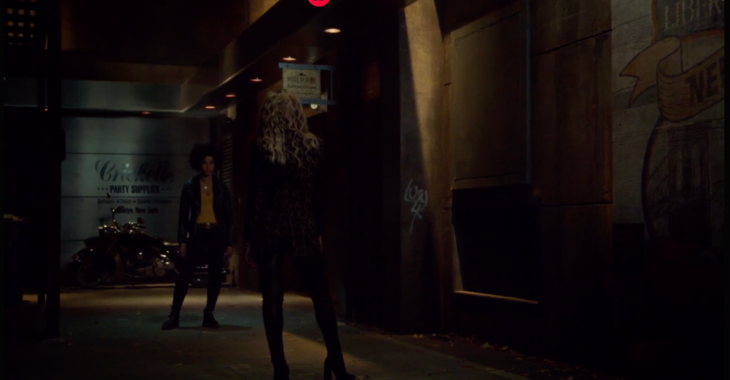 Jonathan is still a threat, and his connection to Clary is worsening. Much like a Morgenstern, she’s becoming distracted, aloof and combative. Jace sees the change first hand, and he desperately turns to the Silent Brothers for help. Alec and Isabella aren’t aware of how bad she’s becoming. While they look into the Clave’s secret organization, they have had to deal with taking care of the Jade Wolf attack, bringing Raphael in for imprisonment, Magnus’ suddenly homelessness–it’s a lot! Without Jace keeping an eye on Clary, she’s going to slip through the crack. Luke is currently in police custody, and she faces losing her dad while being sucked into whatever spell Jonathan is pulling her into. To top off the various calamities erupting, Magnus’ body seems to be shutting down. He suffers a seizure after using a particularly exhausting healing spell, and his outlook doesn’t look good. With a list of personal disasters increasing every day, it seems likely Jonathan will have an easy time getting his work done.